Scales used for commercial and industrial purposes are available in a wide variety of different sizes, weight capacities and configurations. For scientific and medical purposes, as well as in the food production industry, portable gram scales are often used. 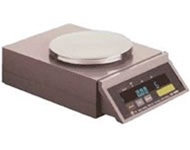 Gram scales can be found in small, pocket-sizes for portability, or they can be considerably more involved precision analytical balances depending on the need and the application. Portable gram scales are often known as compact scales or pocket scales. These are weighing instruments that are made small enough to be handheld, or to fit into a pocket or satchel for portability. These scales are generally intended for weighing very small items, and the maximum weighing capacity for many is only 500 grams. Pocket scales have a wide variety of uses that make them ideal. Depending on their specifications, they can also vary considerably when it comes to price. While most pocket scales are quite inexpensive, they are also not very accurate. Most portable gram scales are digital in nature, as digital scales are generally capable of providing a much greater level of reliability and accuracy in comparison to manual scales. Manual scales are generally capable of losing calibration more quickly, and the results that they provide are also subjective, since there is not a clear digital readout of the resulting weight. Most digital portable gram scales may be powered by battery. Many offer a number of customizable features so that they can meet the demands of a number of different industries. They may offer improvements in the LCD display, customizable expansion trays and bowls, platforms made from durable materials such as stainless steel and many other customizations based on industry and application. The characteristics that are needed by a jeweler who is weighing precious metals and gems will differ from those necessary for chemical weighing or weighing components in food manufacturing, for example. Another type of portable gram scale often used in the jewelry industry is a flip pocket scale. These are very small scales with digital functionality. They are capable of weighing in different modes, and may be capable of ounces, troy ounces and pennyweight in addition to being able to weigh grams. These portable gram scales are also capable of offering a number of additional features, including an auto-off function, auto calibration feature, stainless steel measuring surface and even a protection pouch for transport. Some of these pocket sized scales are rechargeable by means of a docking station, making charging easy when the scale is not in use. These scales may also provide other benefits and features, including interchangeable weighing platforms or bowls, liquid crystal display (LCD) improvements and more. Features should not be sacrificed for quality, durability or accuracy when it comes to portable gram scales. When a portable gram scale is purchased, calibration should be checked and set immediately in order to ensure that precise measurements are being taken. A scale that does not maintain its calibration well will be troublesome in the future, so sacrificing quality and accuracy for the sake of features is not always the best choice to make.